Registered in 2016, Journeys Within Our Community (JWOC) is a $150,000 per year US and Cambodian registered nonprofit organization based in Siem Reap, Cambodia. JWOC’s mission is to empower low-income Cambodians to lead their communities by providing educational and personal development opportunities, inspiring a mindset of co-responsibility and social service. While our core program is providing scholarships for students to attend university, JWOC’s approach is unique in that, in addition to a focus on their academics and a rich program for their personal and professional development, our students also serve as volunteer facilitators for our programs that provide free education (English, computers, kindergarten) and other services, strengthening their skills via experience and making a direct contribution to the local community. JWOC seeks a proactive leader with a passion for development and youth, as well as experience in nonprofit leadership and adaptability to living in a developing country, to serve as our new Managing Director with a 2-year minimum commitment. Salary and benefits: Competitive local salary commensurate with experience. Health insurance from an international provider, as well as visa and work permit, costs paid. Reporting to the Board of Directors, the Managing Director (MD) is responsible for the daily operations of JWOC in Cambodia, as well as for ongoing program development and implementation. In addition, it is expected that the MD will make significant contributions to help define JWOC’s long-term direction, working with the Board in the strategic planning process. The position relies heavily on independent initiative and motivation, as well as demonstrated ability to track and follow through on multiple tasks and to maintain internal and external relationships. The MD is responsible for providing leadership to local and international staff and approximately 70 scholarship students, as well as ensuring achievement of fundraising, communications and donor relationship goals in support of JWOC’s program delivery. The position also represents a strong development opportunity for the right candidate as the Board will provide significant support and coaching to promote the individual’s growth within the MD role, with the potential for promotion to Executive Director as the ability to effectively lead and act independently and strategically is demonstrated over time. Ensure that an effective management team is in place, taking the lead in recruitment, employment, performance management and release of direct staff. Maintain a climate that attracts, retains and motivates a diverse, high-quality staff. Incorporate local and international volunteers into JWOC’s activities such that they can meaningfully contribute to our mission. Maintain and evolve the organizational structure in line with program needs and strategic direction, ensuring that clear roles and responsibilities are defined and communicated. Encourage and support local staff in growing their capacity to run projects, manage teams and develop personally as a valuable human resource for Cambodia. Support staff supervision of scholarship students to ensure they are enriched by their service hours and maximize opportunities for enhanced educational, work and life experience. Guide the Education Manger, Community Support Program Coordinator, Scholarship Coordinator and local staff in the development and enhancement of projects based on ongoing monitoring and evaluation. Ensure that projects deliver to annual goals and provide regular updates to the Board. Provide donor feedback and final reports for the programs which they support. Ensure that projects are run sustainably, including engaging the community to secure participant commitment and establishing funding sources prior to commencing projects. Prepare and present the annual budget for Board ratification. Ensure all JWOC financial accounts are maintained accurately and that consolidated reports are provided to the Board for formal quarterly review. Ensure all information systems, records, documents, contracts and policies are meticulously maintained and are in compliance with federal, state and local regulations. With Board support, develop annual fundraising and communications strategy and targets, cultivating a diversified set of funding sources. Supervise the Fundraising and Communications Manager to ensure that sufficient funds are raised to meet the needs of each project and JWOC’s administration costs. Maintain personalized contact with large donors to keep them connected with JWOC. Support the Board in developing long-range strategic plans and establishing programs, organizational and financial plans consistent with the strategy. 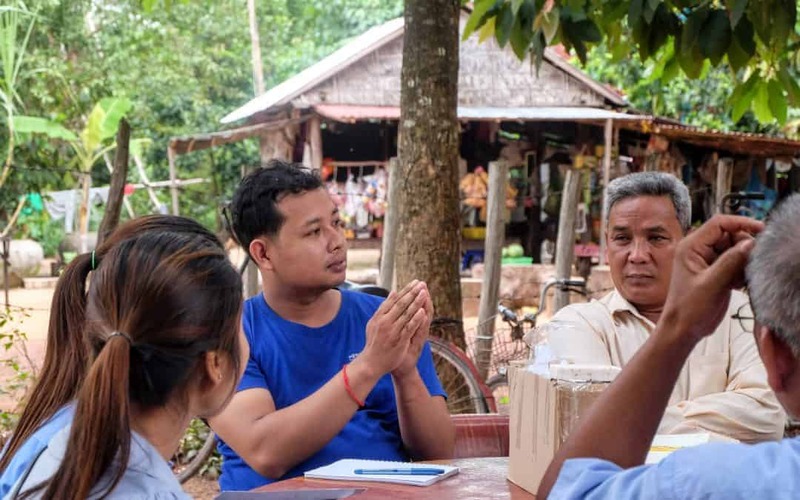 Work closely with the team in Cambodia to implement and evaluate performance to the plan, recommending adjustments as circumstances and new developments indicate. Experience working in a developing country, with experience working in Southeast Asia preferred. JWOC provides a local experience for international staff, and pays a salary consistent with local living costs. The incumbent is responsible for all costs associated with traveling to Siem Reap. The selected candidate will undergo police background and reference checks before being offered a contract. The contract period is 2 years with an option to extend for a longer term. The Managing Director will work 5 days per week, with Wednesday and one day of their choosing being the days off each week. If you meet the above criteria and are inspired to join us, please send your CV and cover letter including contact information for three referees to Kneath Heard at [email protected] with “Managing Director” in the subject line. All application documents must be in English and only short-listed candidates will be contacted. Interviews will be conducted on a rolling basis.